Boker Plus Olive Wood Lightweight Lockback Folding Pocket Knife | BUDK.com - Knives & Swords At The Lowest Prices! 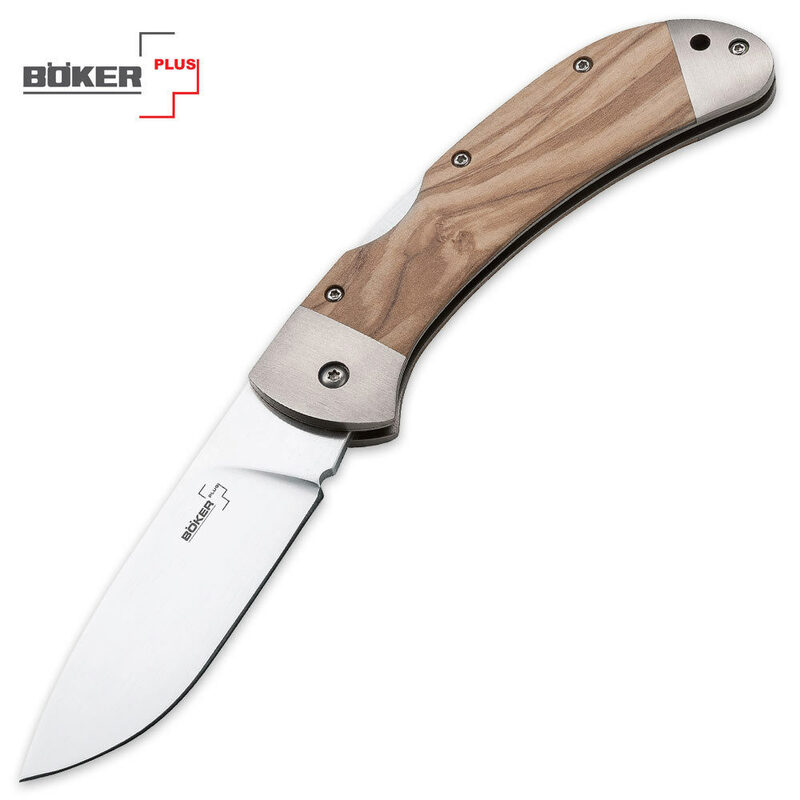 This lightweight folding pocket knife from Boker has all the classic elements of traditional pocket knives with a refreshing, contemporary look and feel. The 3-5/8" blade is crafted of 440C stainless steel with a sharp edge and piercing point. Brushed steel bolsters accent the genuine olive wood handle, which has an attractive, smooth finish. This simple but elegant lockback design makes an excellent choice for an upscale everyday carry pocket knife.